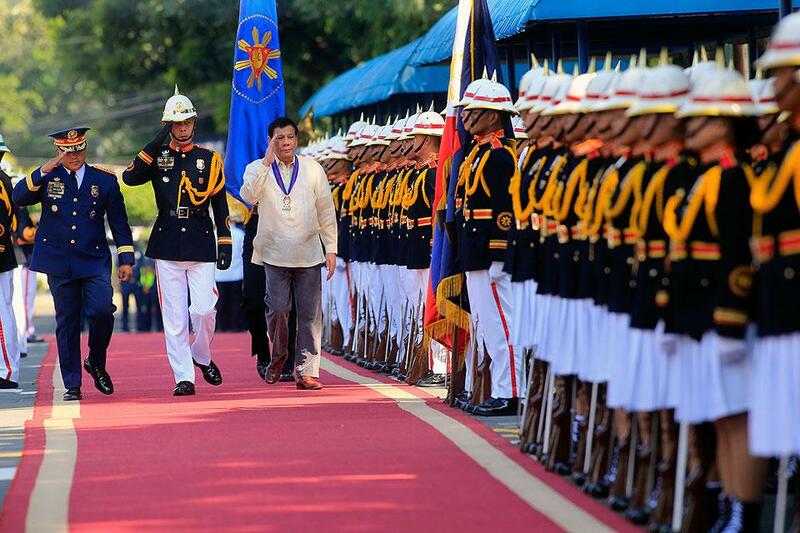 MANILA -- The Philippine National Police (PNP) on Thursday expressed support for President Rodrigo Duterte's call for an end to the communist insurgency in the country, citing that it has become a debilitating hindrance for progress. "Sana nga matapos na yung problema natin sa insurgency dahil walang dinudulot na mabuti ito lalo na sa ating mga kababayan natin. (I hope our insurgency problem ends soon because it doesn't benefit us at all, especially our fellow Filipinos.) It's time to unite and give peace a chance," PNP Chief Director General Oscar Albayalde said. “Matagal na itong protracted war na ito, almost 60 years, sa tingin ko, hindi ka pa pinapanganak may problema na itong insurgency. Ito ang nakakapagpabagal sa ating ekonomiya, sa pag-develop ng isang bansa, kapag meron kang internal problem na ganyan mabagal ang pag-usad ng bansa (This protracted war has been in place for almost 60 years. I think this has been a problem even before some of you were born. This hinders our economic development. If you have an internal problem like insurgency, your progress will be slow),” Albayalde said. Citing the case of Malaysia, which ended its insurgency problem in 1995, he said unqualified support for the administration against insurgents facilitates economic progress. The police chief said those who are the hardest hit by this problem are the poor in rural areas, who do not have access to government aid.